New shocking research has revealed that toxins implanted into GM food crops to kill pests are reaching the bloodstreams of women and unborn babies at nearly 100%. Most recently, scientists in Canada conducted a study on pregnant and non-pregnant women, looking for the chemicals found in pesticides related to genetically modified foods. The study, "Maternal and fetal exposure to pesticides associated to genetically modified foods in Eastern Townships of Quebec", was published in the journal Reproductive Toxicology. It was carried out by independent doctors at the Department of Obstetrics and Gynaecology, at the University of Sherbrooke Hospital Centre in Quebec, Canada. 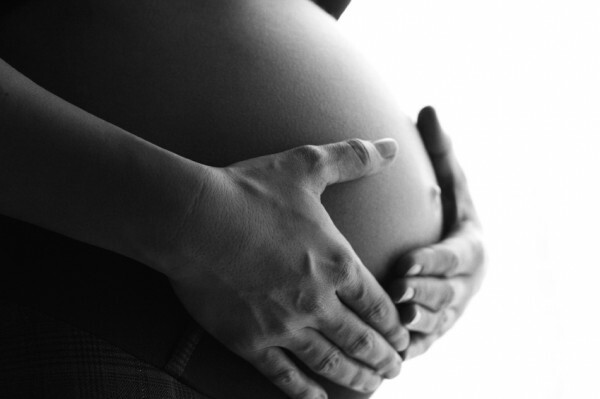 The authors, Aziz Aris and Samuel Leblanc, examined the blood of 30 pregnant women and 39 nonpregnant women. Research team led by Aziz Aris and Samuel Leblanc, were looking for 5 basic toxins: Glyphosate (Monsanto’s Roundup herbicide), Gluphosinate (a herbicide), AMPA (a metabolite of glyphosate), 3-MMPA (a metabolite of gluphosinate) and Cry1Ab (the Bt toxin of gluphosinate). All women had at least one of the toxins present in their blood, but there were differences between the pregnant and non-pregnant women. A large percentage of non-pregnant study subjects had both glyphosate and gluphosinate in their blood, while the pregnant women did not. 100% of pregnant women studied had 3-MPPA (propionic acid) in their blood and 93% had Cry1Ab. Even more troubling—100% of fetal cords studied had 3-MPPA and 80% had Cry1Ab. 3-MPPA (the metabolite of gluphosinate) and Cry1Ab toxin were clearly detectable and appeared to cross the placenta to the fetus. In other words, mothers are passing it on to their children. Researchers fear that this may create perinatal complications as abortion, prematurity, intra-uterine growth restriction and preeclampsia as well as reproductive disorders like. infertility, endometriosis and gynecological cancer. Study points that knowing the actual PAGMF concentrations in humans constitutes a cornerstone in the advancement of research in this area. This new study backed up the research conducted by a German university which found glyphosate in all urine samples tested. According to Biosafety Information Center, there are no other studies for comparison with these results, but studies on other mammals have found trace amounts of the Cry1Ab toxin in the gastrointestinal contents of livestock fed on GM corn, raising concerns about this toxin in insect-resistant GM crops - that these toxins may not be effectively eliminated in humans and there may be a high risk of exposure through consumption of contaminated meat. According to GMI’s report, 3-MPPA is classified as a Bad Actor Chemical and has warnings of cramping, burning, nausea, shock, vomiting, and sore throat if ingested. Greenpeace reports that Cry1Ab is an immunogen - it creates an immune system response and could possibly increase the existing problem of antibiotic resistant infections. 3-MPPA is a propionic acid. PAN Pesticides Database shows several issues with propionic acid, including: inhalation (burning sensation, cough, shortness of breath, and sore throat), skin (burns, pain, blisters), eyes (redness, pain, blurred vision, severe deep burns) and ingestion (abdominal cramps, burning sensation, nausea, shock, collapse, sore throat, vomiting). FDA and USDA assure us that any GMO with 3-MPPA should be classed as "generally accepted as safe". Greenpeace reports that Cry1Ab is an immunogen - it creates an immune system response and could possibly increase the existing problem of antibiotic resistant infections. The immunogenic response can be initiated by either injection or gastrointestinally, that is, by eating it. Cry1Ab binds to proteins in the mouse gastrointestinal tract. It affects the mucus membranes and can be systemic. However, all five compounds tested are in fact classified by our governments as Generally Recognized As Safe (GRAS). This is outrages! New study shows that claim that any genetically modified food can be considered GRAS—generally recognized as safe, is false. 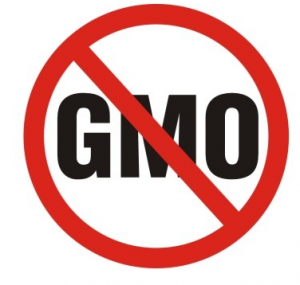 Most of researches and study was funded by GMO companies in order to get favorable results, so real facts about genetically modified organisms and their dangers remain fairly unknown. The most concerning fact is that these companies control access to their chemicals and any related research. Genetic modification industry's claims that such toxins in pesticides are destroyed by the digestive tracts of people who eat the animals fed these GMO crops. Food safety authorities around globe have accepted these assurances on the basis that GM crops are effectively no different to those produced using conventional methods. If virtually every pregnant woman and every fetus is intoxicated with dangerous chemicals because of genetically engineered foods, than we cannot considered it to be safe! See the new film, Genetic Roulette, for a broad perspective of the disaster that genetically engineered food has already become. You can support the California initiative to require labeling of GMOs (California’s Proposition 37 !